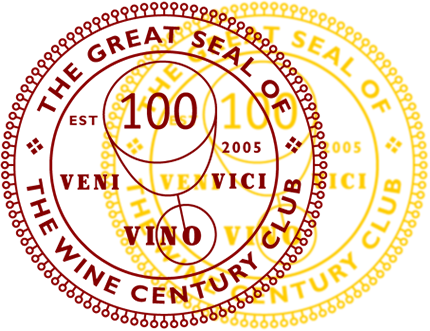 Yes, admit it, you have dreaded this day, and it came sooner than you thought…but I will talk a bit about German wine classifications today. First of all, I find this site by the German Wine Institute very helpful (as most of their other stuff, by the way! Meet, for example, the German wine queen here or check out the German wine regions here – really cool stuff!). One of the keys to understanding the categories in German wine is the amount of sugar in the grape at harvest time (that does not mean that the wine will also have to be sweet!) – it is probably the most important way how Germany measures the quality in grapes. More sugar means greater ripeness means higher potantial alcohol yield and quality. One can argue with this categorization, but it reflects the fact that Germany is a pretty northern region for wine growing with not as much sun exposure – and therefore ripening potential – as most other wine regions in the world. The majority of wines produced in Germany fall under the broad categories of “German wine” or “German Land wine” (comparable to table wines). The quality requirements are easy to meet, grapes can come from even outside of Germany. Above these wines you will find the so called “quality wines of specific regions” (“Qualitaetswein bestimmter Anbaugebiete” or short, and more memorable, QbA). All grapes for these have to come from a specific German region, and need to meet certain requirements. QbAs can be pretty yummy, although they still tend to be rather one-dimensional wines. Some of them, like the Piesporter Riesling (check out a photo of the bottle here) by Reuscher-Haart winery in Piesport provide awesome summer wines for a dime. His QbAs are widely available in the U.S. at around $15 for the 1 liter bottle (that is 25% more than your usual bottle!) – see my query results on wine-searcher.com for merchants. Above these, you will find the “Praedikatswein” (“wine with distinction” – earlier it was called “Qualitaetswein mit Praedikat”) – and those are the wines that get me talking and indulging. While the winemaker can add sugar before fermentation in QbAs, this is strictly prohibited in Praedikatwein. There are different grades of distinction, with Kabinett the lowest, followed by Spaetlese (late harvest), Auslese (selection), Beerenauslese (berry selection – short BA), Eiswein (the famous ice wine), and lastly, the highest of all, Trockenbeerenauslese (dried berry selection – short TBA). Please check the Wine Insitute’s site for the specific requirements. For my purpose it is enough to say that all these can yield exceptional wines. With the summers of the last decade having become warmer and warmer, the ripeness of the grapes has also increased. This means, that a lot of the wines that are denominated as Kabinett (the lowest level of distinction) could actually have been labelled Spaetlese or even Auslese. Since the wine law only prescribes minimum sugar levels in the grape for each type of distinction (see the requirements here), the winemakers are free to label their wines lower than they actually could label them. This is usually for marketing reasons. Consumers and restaurants are looking for Kabinetts and Spaetlesen, because Auslesen are considered more expensive and exclusive…that also means that you can get Auslese wines at the price of Kabinett wines these days, quite the bargain. All these wines come in varieties of dry, off-dry or semi-sweet, and sweet. This is at least true for Kabinett, Spaetlese and Auslese (yes, even Auslese can be dry!). BAs, Eiswein, and TBAs always come in sweet. I personally prefer the spaetlesen and kabinett wines, mostly off-dry or sweet. As everyday wines, fruitier kabinetts can be just fabulous. Check out this awesome article on and tasting of Mosel Kabinetts by the NYT (on the 2008 vintage, but true for most others, too). Whenever I try a dry riesling, I feel like something is missing. The fruit in the wine is less pronounced in dry wines, and with some more sugar it comes out much more pronounced. But that is just me – and my taste is at least similar to what a lot of international wine drinkers like. My fellow Germans prefer their riesling dry (in the last 10 years the percentage of all dry wines produced rose from 34% to 41%). German rieslings at spaetlese and above level are remarkably good at aging, and a lot of them actually only start developing their true potential a couple of years in. Auslesen, BAs, and TBAs can wait for decades…The oldest wine I have tried was a 1954. It was already quite dead, but still drinkable. The oldest wine I tried that was still good was a 1987 Vereinigte Hospitien Erdener Treppchen Spaetlese (tried it this year), one of the best I have had was a 1990 Auslese by the same winery (tried it last year). 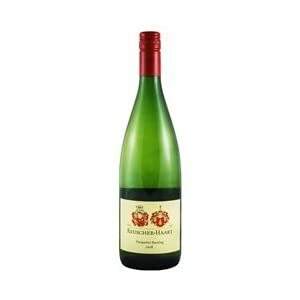 So, if ever you stumble across a German wine that is older than 5 years, give it a try. You might be in for a treat! I hope this will help in the future when I talk about German wines. If you have questions, just leave a comment or send me an email at o.windgaetter (at) gmx.de. This is great! I’ve been wanting to better understand German wine labels… this is a perfect start. Thank you so much! Glad it is helpful!! This is a great post – thank you so much for the explanation of how German wines are classified. I am going to keep my eye out for a “Praedikatswein” wine to really get a sense of this region. Thank you!